Modern, sleek and adorable solid 14k gold heart silhouette pendant with a single Diamonlux™ cubic zirconia. 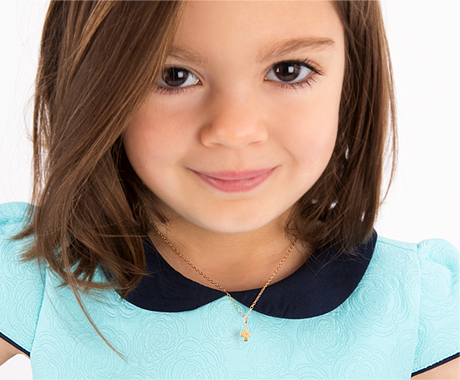 Includes our Tiny Blessings exclusive Italian-made chain, featuring diamond cut luster and adjustable sizes to accommodate your fast-growing girl. A gorgeous, heartfelt gift for that special little angel in your life. She'll fall in love with this shimmering 14k gold open heart. With unmatched beauty, this stunning necklace makes a great gift for any occasion!